Let's talk about suits, but not like the regular kind, but the coooool kind. 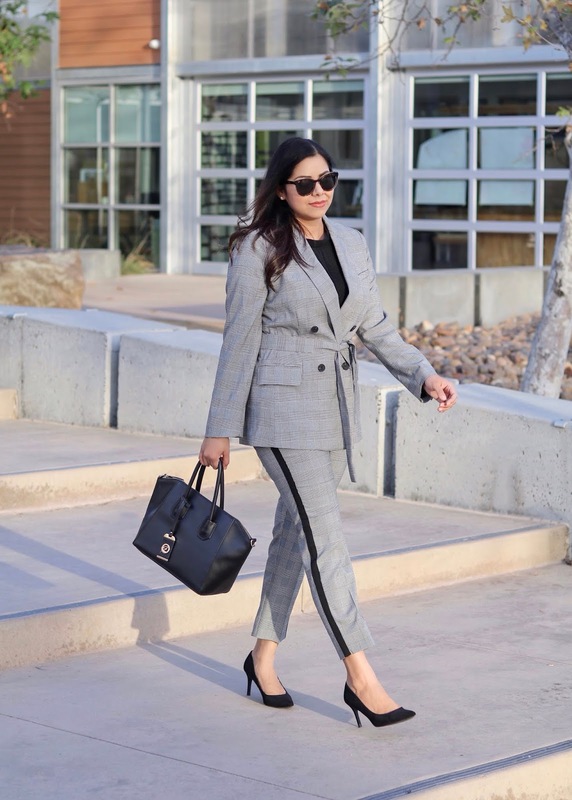 Working in a corporate setting for over a decade (I totally just aged myself), I've had my fair share of the usual office suit, but over the years I have seen the rise of the power suits- you know those suits that make you feel confident and cool? 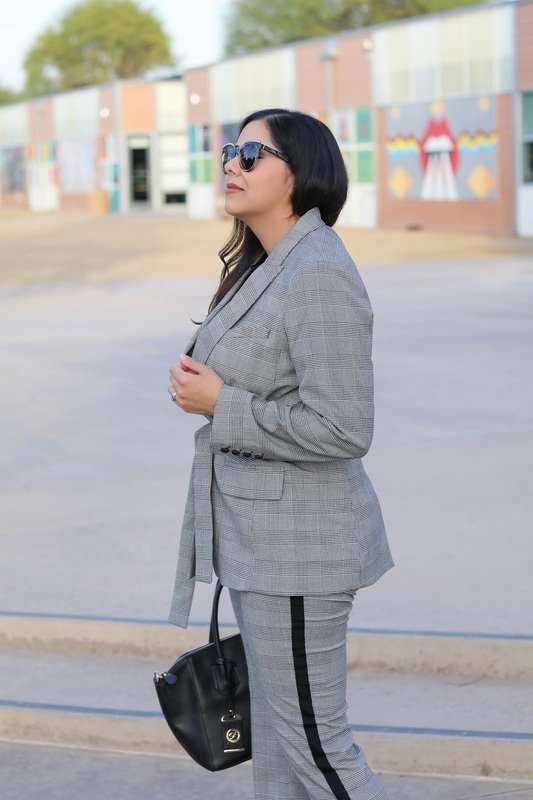 Today I bring you this cool suit from the Rachel Roy Collection which I deem the modern take on the classic plaid suit + a round up of other modern suits that are still appropriate for the office! 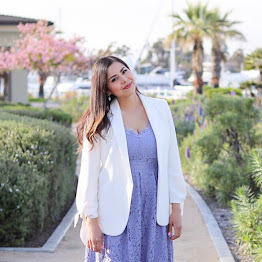 Side note: I do realize that there has been a rise of the bold suit in street style which I totally love and appreciate, however for the purpose of this blog post I have all of my working women in mind and know that those kind of suits don't fly in an office/professional setting. 1. Fit and material is everything - For professional suits I would highly recommend getting them tailored, however if you are on a budget or want something off the rack (like I did here), watch out for suits that are too tight or where the material is stretchy so that it doesn't get confused for leggings. 2. Stay away from bold colors - Make sure the color is not too bold UNLESS you def want to make a statement or get stares from your coworkers and clients! You know those bold red or hot pink suits that all the bloggers are wearing? I don't see them walking into an office with them! They are mainly being worn to stand out and while standing out can be a good thing, in an office setting we want to stand out with our work performance and not distract our coworkers/clients with our attire. If you don't want to always wear the black and dark gray, I have linked a dark burgundy or dark green suit below! 3. Print is not too busy - By the same token, if you do select a print make sure it's not too busy or too distracting. Back to suit I am wearing, this blazer is meant to be over-sized, however it is not too over-sized to the point that the fit is off plus it comes with a belt option where I can cinch it at the waist. Its shape makes it a blazer I can see myself wearing outside of work paired with a tee and jeans. And while the pant is a classic work pant, the stripe is such a cool detail that is noticeable but not too distracting! I paired it with the classic black pointed pumps (these are under $30!) and a gorgeous pleat top to look ready to handle business! Hope you enjoyed today's post! Let me know if you like more of these work wear centered posts! This is an amazing look and these tips are super useful!